but in the end, fell 6-3. Leading the way in the first two games for the Wickliffe Boys was sophomore Will Morris. Morris had a 190 in each of the two games for a 390 series which was top on the boy’s side. The top game of the two games also came from a Blue Devils Bowler, Junior Ricky Bunn had a 216 in the second game, he did not bowl in the first game. Wickliffe won the two games by 788-584 in the first and 839-578 in the second game. 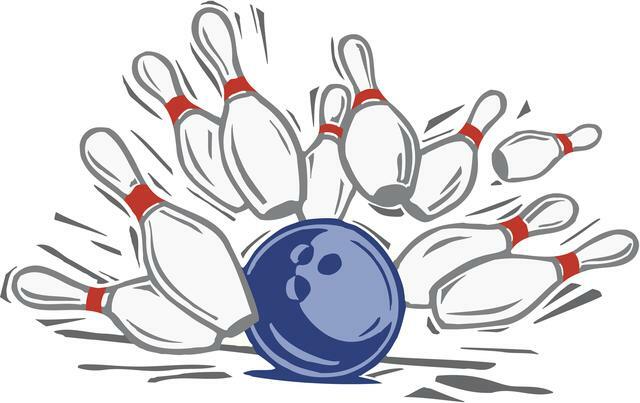 The Wickliffe boys did have an advantage as Kenston only had four Bowlers, which really hampered them in the Baker games as they had to take two zero frames in each game. Morris remained hot in the Baker games having a total of eight strikes in a total of nine chances in the three games. Wickliffe won the first Baker easily 152-100, game two was closer 130-112 and the third was another blow out as Wickliffe steamrolled 164-113 to complete the 9-0 shut out on the day. Senior Susannah Tippin, led the way for the girls posting the high game of the day on the girl’s side with a 206 in the first game finished her two-game series the high for both the boys and the girls with a 185 game and a total series of 391. The girls won the first game of the match, squeaking it out 586-579. Three of the five bowlers in game one had never bowled a varsity match. The Lady Devils ran into some tough luck and inexperience showed in game two as they fell 715-565. The Baker games started off the same as the regular games as Wickliffe managed a victory in game one 131-111. Game two was close but Kenston managed the victory 115-105, but the third was not so kind to the Lady Devils as they fell 134-89. The Blue Devils next match for the boys will be next Tuesday at Wickliffe Lanes where they will be the visiting team against host Willoughby South at 4:00 p.m. The girls will be in action next on December 7th when they take on Brush at the Wickliffe Roll House at 4:00 p.m. The Wickliffe Roll House is Brush’s home alley.